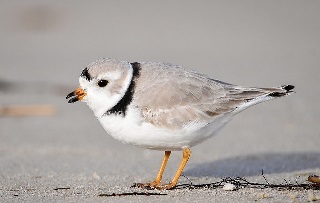 Charity Navigator: Charity Navigator Celebrates World Migratory Bird Day! Charity Navigator Celebrates World Migratory Bird Day! Charity Navigator is celebrating World Migratory Bird Day! The 2nd weekend of May is recognized by the United Nations as World Migratory Bird Day, an awareness campaign bringing attention to the need for protecting migratory birds and their habitats. Bird migration is the seasonal movement of bird species between breeding and wintering grounds. While migration patterns vary, different species can travel several thousand miles during their migrations. The trip can be perilous, both due to natural predators and human interactions. Interested in helping the birds on their journeys? Consider giving to the National Audubon Society, a 4-star rated charity, and also check out 4-star rated organizations in our Wildlife Conservation cause area!